What a fun vintage set of cards for family game night. 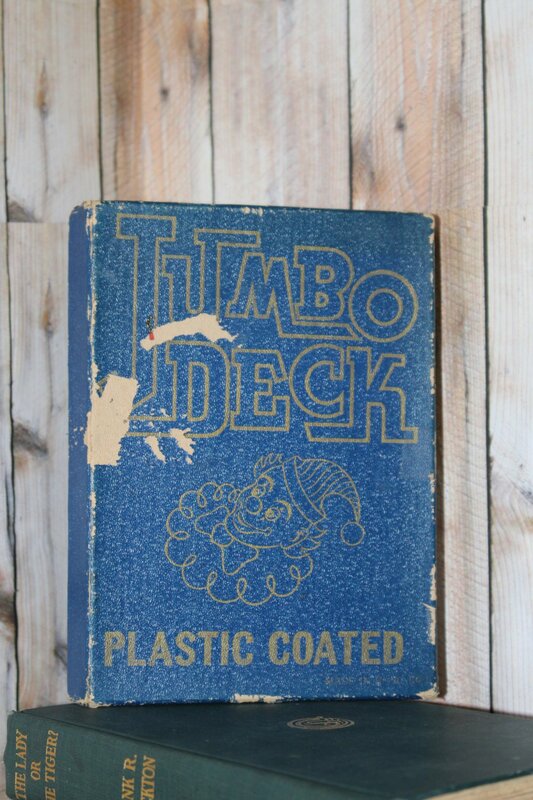 This item is a Jumbo Deck and measures approximate. 6 7/8 inches x 4 7/8 inches. One of the largest sets of playing cards I have seen. Comes in a dark blue box with a clown and wording done in gold gild. Box is in poor condition. All but 3 of the cards are in excellent like new condition. the 3 that have issues are in the pictures above please review. They are minor issues such as a smudge on the 5 of spades and the other 2 have marks as if something colored slid across them but those are also minor.